INFINITE SHIELD wear protection consists of ceramic elements. The small parts offer many advantages due to their shape and size. 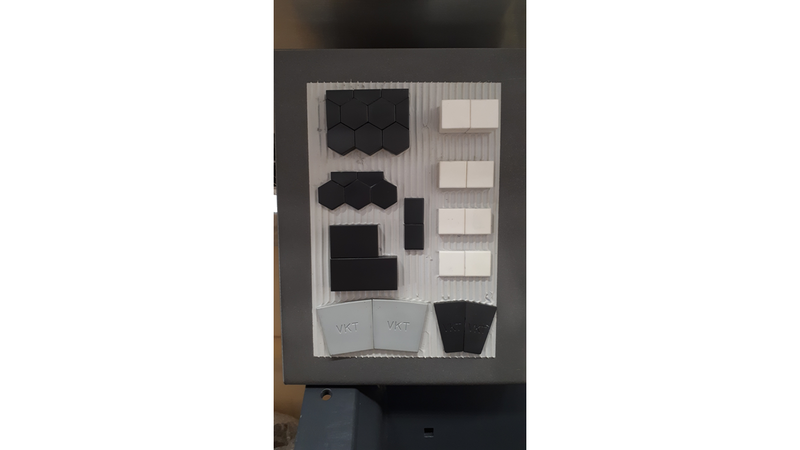 Due to the small size of individual elements and their optimized shape, the contour to be protected can be exactly followed. Thereby the system components are calculated for the optimal use of the hexagons, so that the functionality of the components will still be 100%.